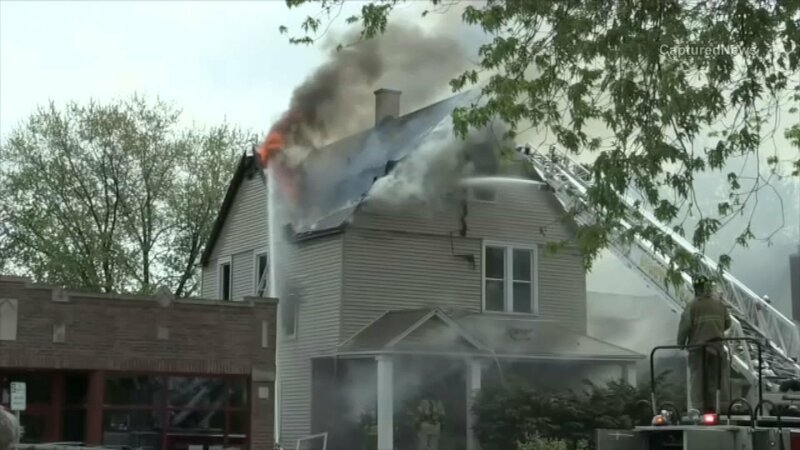 BERWYN, Ill. (WLS) -- The body of a 64-year-old man was found in a home in west suburban Berwyn that caught fire Friday. Firefighters and police responded Friday afternoon to reports of a fire in the 3300-block of South Home Avenue. There was excessive smoke and fire coming out of the roof and windows, police said. After firefighters extinguished the blaze, officials said they discovered a body inside the house. An autopsy conducted Sunday found he died of acute smoke inhalation and his death was ruled an accident, the Cook County Medical Examiner's Office said. His name has not yet been released. Children were evacuated from a day care center next door as a precaution. Berwyn police and fire officials are still investigating the blaze.